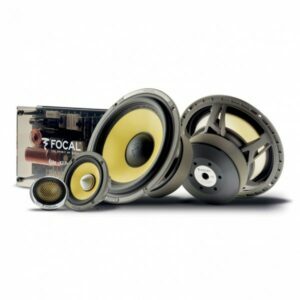 The EC 165 K kit is composed of two 165 mm (6½”) woofers with coaxial tweeters. 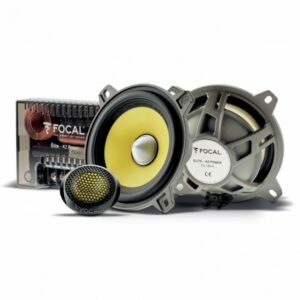 Like all speaker drivers in the K2 Power line, the coaxial woofers of the EC 165 K kit are also equipped with Kevlar® cones. These cones are endowed with all the ideal qualities: lightness, rigidity and excellent damping, to deliver dynamic sound and perfect definition. The cones are fixed to the frame using TMD suspension, whose exclusive design removes unwanted resonances and reduces the effects of distortion. The two TKM inverted dome tweeters are composed of aramid fibres. 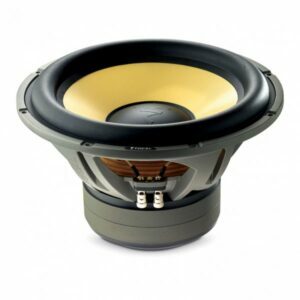 Their exclusive “M”-shaped profile is designed to control deformation of the dome, and to reproduce with precision smoothly high frequencies up to 22 kHz. The frames have been redesigned to make them more robust and shorter; their depth has been reduced as much as possible: 74 mm (3″). These tweeters are equipped with built-in crossovers. 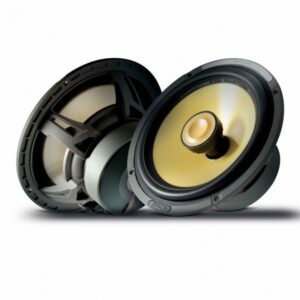 The speaker drivers used for the K2 Power have been completely redesigned. Each component is the result of extensive research in acoustics to push back the limits of performance, of power and of precision! The K2 Power Kevlar® cone, a product of unique expertise Made In Focal, is to this day second to none. Composed of an ultra-light foam structure sandwiched between a thin layer of Kevlar® aramid fibres, and a layer of glass fibres, the K2 Power cone combines three key factors of quality acoustics: Rigidity / Lightness / Damping, for precise and dynamic sound. 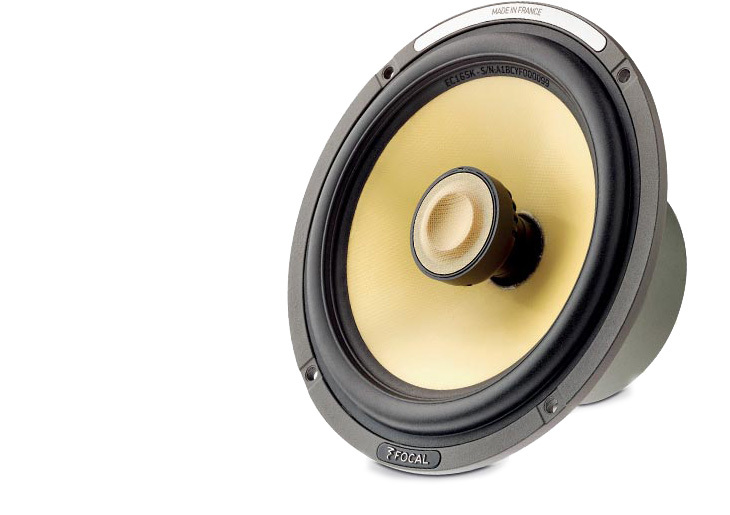 The new K2 Power TKM tweeter features an exclusive “M”-shaped structure. 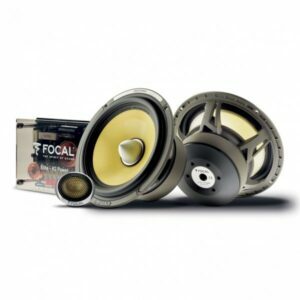 This new-generation aramid-fibre inverted dome tweeter provides great precision in the very high end, and its combination with a “push-pull” motor with IAL2 technology extends the low end of the frequency response and provides extraordinary harmonic balance.